"rabbet." YourDictionary, n.d. Web. 18 April 2019. <https://www.yourdictionary.com/Rabbet>. 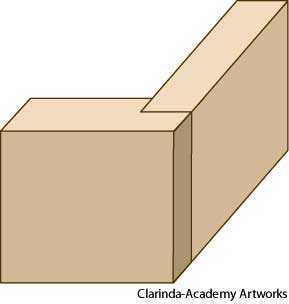 A cut or groove along or near the edge of a piece of wood that allows another piece to fit into it to form a joint. To cut a rabbet in. To join by a rabbet. To be joined by a rabbet. Middle English rabet from Old French rabat recess in a wall, act of beating down from rabattre to beat down again ; see rebate 1. To cut a rabbet in a piece of material.